It’s Hollywood meets MoveOn.org. See a movie — take action. This Earth Day, April 22, you can watch “Syriana” then write to Congress to demand a new approach to energy consumption. Or you can watch “An Inconvenient Truth” and join the Stop Global Warming Virtual March. Both actions are helped along by Participate.net, an online community of film lovers who want a better world. Launched by Participant Productions in October 2005, the social action web site can hook you up to movie-inspired campaigns on renewable energy and global warming, sexual harassment (“North Country”), public interest journalism (“Good Night, and Good Luck”) or disabled rights (“Murderball”). These are movies all produced by Participant Productions, a company with a “mission to make the world a better place.” They are “dedicated to creating a whole new kind of action flick,” according to their web site. They advocate ‘take action’ flicks. Hollywood has been producing more thoughtful, issue-oriented movies and the movie-going public is more active and aware of the power of film to mobilize and organize. From Participate.net you can host a movie party in your home with campaign materials and support from their online community of actors, filmmakers, issue experts, moviegoers, and activists. The producers are trying to walk their talk too. 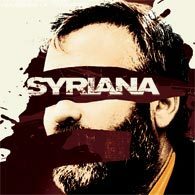 With “Syriana,” the producers chose to make it in a “climate neutral” fashion, that is they offset all the carbon dioxide emitted in the film-making process (an estimated 2,040 tons) by investing in renewable energy, specifically wind and methane power. The wind farm is on Native American land, Indian-owned and operated. The methane generator will come from a Midwest family dairy farm. “Syriana,” a movie that delves into the geopolitical and economic bowels of the oil industry, is the first major film that offset “100 percent of its carbon footprint,” a phrase that is the atmospheric equivalent of picking up your own trash. Participate.net is a partner with The Stop Global Warming Virtual March on Washington (www.stopglobalwarming.org), an online petition and educational campaign that is virtually marching across the country, town-by-town, showing evidence and the alarming affects of global warming along the way. It will “arrive” in Washington, D.C., on Earth Day to urge the president and Congress to address and enact laws to reduce global warming pollution. Participate.net invests a lot of hope and confidence in the ordinary citizen to make change. It also appeals to business to change its model to address issues of the environment, etc. If only capitalism was dominated by such public-minded driven models, instead of the monopoly corporate Exxon Mobil model. But if it was — it wouldn’t be capitalism, would it?